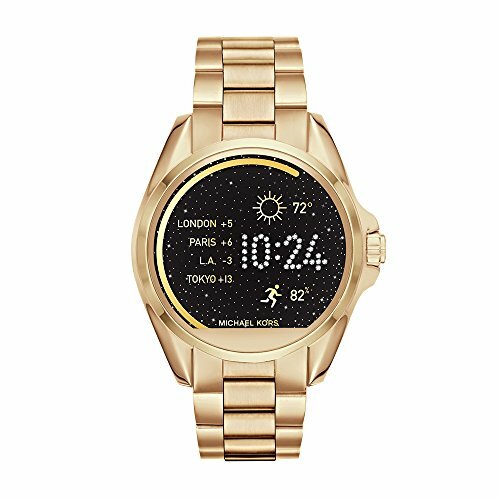 Michael Kors Access Bradshaw stainless steel display smartwatch. Powered by Android Wear, this smartwatch connects with your favorite apps and is compatible with Apple and Android smartphones. With built-in fitness tracking through Google Fit, you can view calories burned, steps and distance traveled. Receive notifications, such as calls and alerts, at a glance as well. Fully personalize your watch by selecting or customizing the watch face of your choice and changing out the straps to match your activity or look.